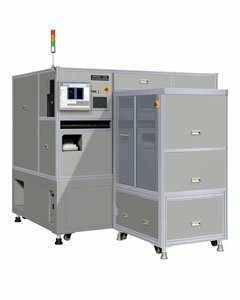 The 1236-11 is a bare board test system that harnesses Hioki’s populated board testing technology and includes support for next-generation boards with embedded passive and active devices. It features mass-production capabilities that uses test heads (test fixtures) to test fine pitch boards. 1 sheet, 4 layouts: 8 sec.